So is the party over? Well it certainly felt like it at the recent LARAC Conference in Liverpool. After a decade in which we celebrated improving recycling performance and expanding collections, the mood amongst delegates was very much focussed on how services will be delivered with budgets being slashed following the Comprehensive Spending Review. The hangover, which is already being felt, is going to manifest itself in job losses and cuts to services. Local authorities are going to have to concentrate almost exclusively on delivering their statutory duties. Additional services and projects which were provided when the party was in full swing are not going to be an option anymore. Much of the discussion in Liverpool focussed, quite rightly, on how local authorities can deliver services with such severely reduced budgets. Partnerships with other authorities, finding new sources of funding and incentives to encourage participation were all on the agenda. However, one subject that got little attention is the impact the cuts will have on consumer attitudes to recycling. The industry as a whole has worked tirelessly for the last decade to increase the recycling infrastructure and participation. National and local communications campaigns have driven-up household recycling rates from around 10% to just short of 40% in England and around two thirds of people in England now describe themselves as committed recyclers. This level of commitment has been achieved by intense and regular communications telling people that an increasing number of materials can be recycled and that recycling is a quick and simple way for them to do their bit for the environment. But commitment is a funny thing. It can be easily lost when people’s confidence in a system is undermined. Just look at how Toyota car sales plummeted after serious safety concerns and recalls were announced. They have now recovered in the UK but only after the type of massive and expensive communications campaign that the recycling industry can no longer hope to match. 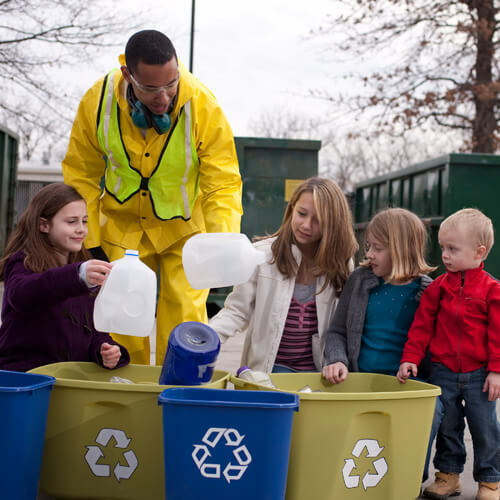 The likely cuts or changes to local recycling systems required as a result of the CSR risk significantly damaging consumer confidence in recycling. Whilst Caroline Spellman has said that recycling needs to go much further and faster, the cuts are likely to mean reduced services and authorities having to tell consumers they can no longer collect certain materials or have to make significant changes to their collection systems. Both seriously risk confusing consumers – or worse – giving the impression that recycling is no longer important. This will only result in people recycling less, or even turning away from participating. Once lost, they will be even harder to reconvert to recycling. Even where cuts are avoided, changes to a service will need communicating to residents. This is a serious issue that is going to require well constructed communications, much of which is going to have to be delivered by local authority officers. That’s because the cuts also mean that WRAP’s budget will be under pressure and there will no longer be the cash for national consumer communications on the scale we have become used to. Even local authority officers with the necessary communications expertise won’t have the time or resources to deliver the necessary campaigns. Increasingly they will have to rely on the expertise and communications resources provided by materials organisations such as Alupro. The challenges ahead are significant, with creativity and collaborative working they can be addressed. Without such an approach, it could be that last week’s announcement that England has almost reached a 40% household recycling rate is the high water mark for recycling – at least for the next few years. Can consumers be persuaded to accept Pay As You Throw?